In-ground composting, pee tea, green manure, soil recycling & more. As a home gardener, I sow small amounts of "cover crops" like clover and oats. Called green manures, they are low-maintenance plants that I can work into the ground in order to improve the soil. 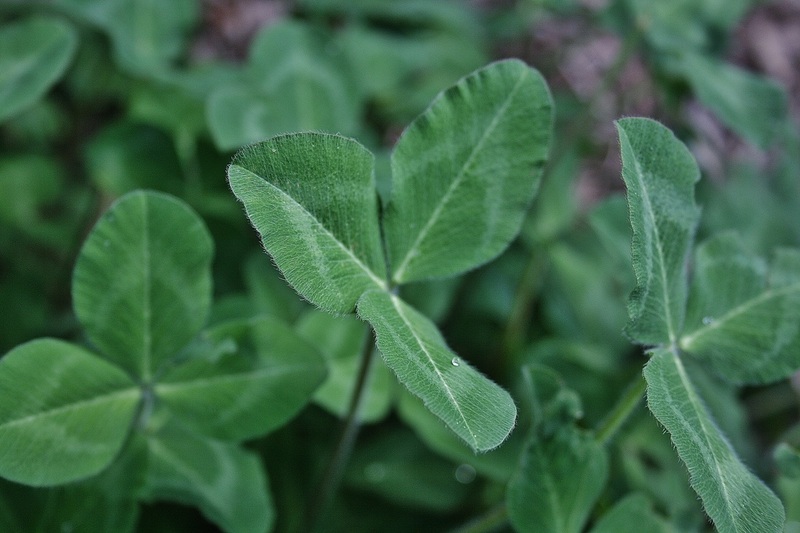 Green manures add nutrients to the soil and improve its physical state, a.k.a. tilth. 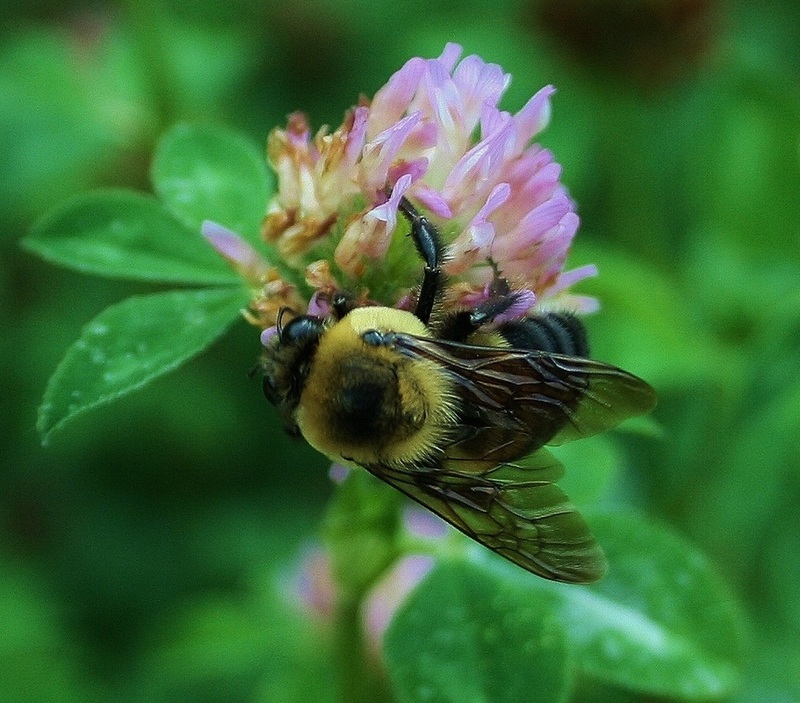 They also crowd out weeds and attract native wildlife, including beneficial insects. Planted in out-of-season flowerbeds and vegetable gardens, they also help fight erosion on soil that would otherwise be bare. If you're trying to improve the soil in your landscape, green manures are an easy, inexpensive option. The seed doesn't cost much, and working the green manure into the ground, while a dirty business, doesn't take that very long. We use clover and oats as cover crops. This year, we've also plants marigolds as a "medicinal" cover crop in order to fight root knot disease in one bed. Before it goes to seed, cut the cover crop to the ground and let it dry. Then till it into the ground. Because we grow very small patches of clover and oats, I cut it down by hand with garden shears, let it dry, and then chop it into even smaller pieces before working it into the soil with a trowel or garden fork. If you've planted a cover crop over your entire vegetable garden or flowerbed, tilling it under before it blooms is a quicker way to work it into the soil that mowing it down, chopping it up & tilling it into the earth. Mow it, move it, chop it. I sometimes chop cover crops to the ground, leaving the roots intact, and then cut the leaves and stems into small pieces for the compost bin or a compost hole. I also sometimes spread them over a section of the garden where we haven't planted cover crops. Little by little, we're improving the quality of our soil which, like that found in many housing developments, formerly suffered from compaction, high pH and a dearth of nutrients that were accessible to plants. Within our potager-style beds, we plant cover crops in order to fill up the empty spaces that occur when annuals & herbaceous perennials come to the end of their growing season. The cover crops also add nitrogen to the soil & improve its structure. Improving the soil is just one of the benefits of green manure.